We will be running D+ Rally on Saturday mornings at LWSC in starting March 16th. Most of the rally will be taught by Christian Allderidge. All our rallies are Stable Management Rallies only, there is no riding involved. You will need to be dressed in your HKPC Shirt and clean jods and boots, you are representing your Pony Club and should look respectable at all times. you will need your hat, gloves and whip for practicing leading etc. The exam date will be arranged later, it will cover the Practical & Theory sections. For the ridden session you will be assessed in one of your regular riding lessons. We will be running a C Rally on Sunday mornings at LWSC in starting March 31st. The rally will be taught by Christian Allderidge and Tara Delaney. These are Stable Management Rallies only, there is no riding involved. You will need to be dressed in your HKPC Shirt and clean jods and boots, you are representing your Pony Club and should look respectable at all times. you will need your hat, gloves and whip for practicing leading etc. The exam date will be arranged later, it will cover all 3 sections: Riding, Practical & Theory. The course will be 15hrs long run over 6 x 2.5hr sessions from 9.30am-12pm. There will be no sessions in April. We will be holding the Annual Philip Day Memorial Challenge at Beas River Equestrian Centre on Sunday April 28th. 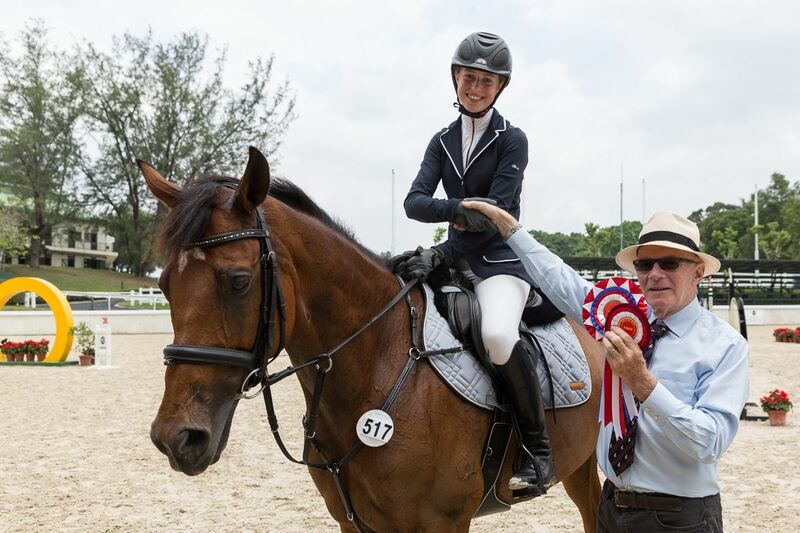 All entries need to be approved by the District Commissioner to ensure that the riders meet the minimum requirements to compete at that level. In order to enter you need to be regularly jumping at least the height of the class (80cm for the Bowl and 100cm for the cup). If you have your own livery horse and pony you will need your instructor to approve you entering the competition, please let you instructor know you wish to enter the Philip Day Competition. If you will be riding a horse from your Riding stables (but not your livery) please note that in your registration. If you do not have your own livery horse/pony to compete on we will endeavour to match you with a borrowed horse. Cup competitors who wish to also compete in the Bowl may do so as long as as the combination of horse and rider have not competed at over 1m. For non livery holders, once your entry has been approved we will do our best to match you with a borrowed horse. We may not be able to match everyone who enters with a horse as we are always limited with the number of horses we can have, but we will do our very best to try to get everyone who is approved a horse. The schedule will be roughly as follows, class times are approximate, we will do our best to run on time but we do not have a large team of course builders to help! There will be no kiosk serving drinks and food. Please bring your own food and drink. It would be nice to have a picnic after the Cup Class! The Prize giving for each class will be directly after the class. We would like to ask everyone, competitors and spectators, to give their support for the whole morning, and be there for both competitions. There is parking at Beas River, but you do need to register your car number. If you are entering as a rider then there is space for your car on the entry form. If you would like to come as a spectator, please email the HKPC secretary with your licence number.